'I took an idea I saw on Pinterest for a baby mobile and turned it into a library display. 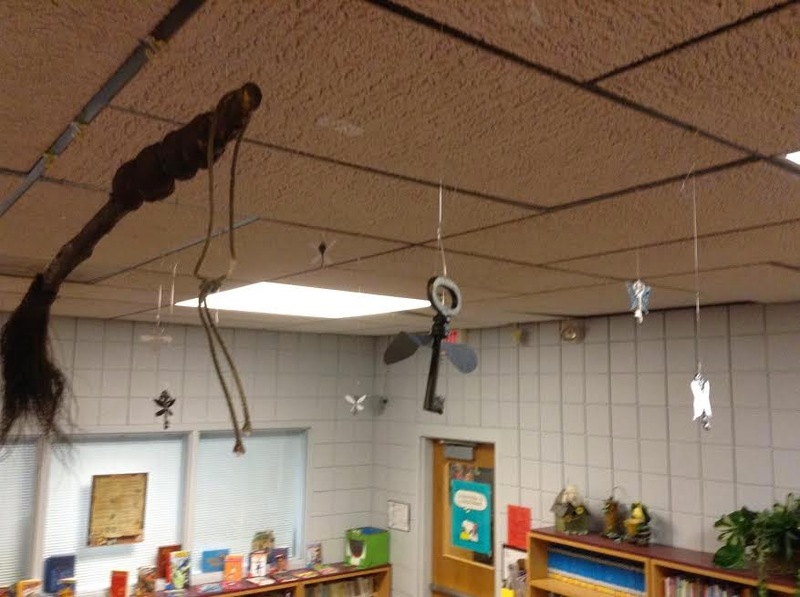 Students are loving it…once they decide it isn't a Halloween display and really take a look at it'. It's great Tracy, thanks for sharing it.